What Factor Determines the Success of Your Satisfying Retirement? I imagine you are thinking the answer must be having a solid financial foundation. After all, without enough money retirement can be an endless struggle. 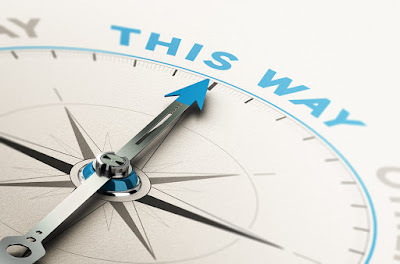 Maybe you are thinking the most important factor is not wasting your time. You want to have fun, dig in the garden, read a powerful novel, help serve meals at the shelter, get lost in your favorite hobby, or play with your grandkids. Managing your free time is crucial. Or, your guess is having a loving family or bunch of great friends who are there for you, whatever the situation. No? Then, maybe it is living in your favorite place in the world: watching the waves crash on a rocky shore or perfect white sandy beach, looking at the snow-capped mountain tops, being energized by the urban bustle in the big city of your dreams, or living miles away from the noise of traffic and shopping malls, where your nearest neighbor is a 30 minute walk away. Luck. That must be it. Since life is really unpredictable and the future is going to happen whether you are ready or not, the quality of your retirement is up to the fates. Hold on, it must be attitude, or maybe perseverance. These are all good answers, but not the one factor that determines the quality of your satisfying retirement. Everything I listed above is part of a positive retirement experience. All of them help build this stage of life into one that excites you, stimulates you, satisfies you. But, without the ability to solve problems you will always struggle. No matter how well prepared you are financially, relationally, socially, or health-wise, retirement is going to put obstacles in your path. Something you didn't expect will happen. Something you did expect will fall through. 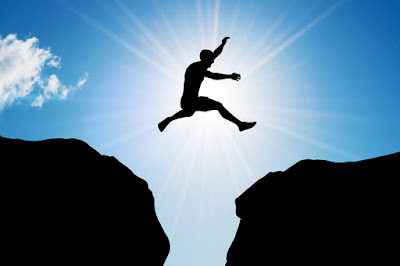 When that crack develops in your path forward your ability to solve the problem will make all the difference. Importantly, solving a problem doesn't always mean making it go away or having it get better. Sometimes a solution is more of an accommodation or acceptance to whatever the new reality is. Sometimes a solution is taking a different path forward or changes in lifestyle or expectations. At its core, how you respond to whatever happens is the factor that will shape your retirement experience. You can approach whatever issue has knocked you off course as a wall or an obstacle to work around as best you can. Based on the response to the post, Do You Feel Invisible, I thought it would beinteresting follow up to recycle this one from almost 5 years ago about blogger and regular reader, R.J. Walters. This post remains in the top 10 of all articles read on Satisfying Retirement so it must continue to resonate with folks. I am lucky to have RJ Walters as a regular reader and commenter on satisfying retirement. 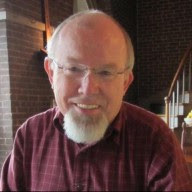 He is a prolific blogger, maintaining several different blogs over the years. He is well read, thoughtful, and not afraid to voice his opinion when something strikes him as silly, dumb, or dangerous. In addition to all of that, RJ has a disability: He is deaf. Importantly, RJ is deaf but in no way does that define him. As we age many of us will face limitations on our health or well-being. I thought it would make for both an interesting and educational post to ask RJ some questions about his condition, how he deals with it, and what he can teach us about diversity. I found his answers insightful and motivational. I trust you will, too. 1) You once said to me, “I am just a guy who is deaf, not a deaf guy.” In your mind what is the difference? Is it one of attitude or acceptance? Let me start this answer with a question. Who are you? The answer to that might be “I am a Christian”; “I am a husband”; “I am an engineer”; “I am a father”. Your first few answers show primarily how you identify yourself. For me “I am deaf” would come pretty far down the list. When I do mention it I say “I am deaf but that is not who I am, it only an obstacle I face on a daily basis. "Some people, particularly those who are born deaf, often associate primarily with other deaf people. Those type of deaf people identify themselves as being part of the Deaf culture (with a capital D). I am deaf (with a little d). I seldom am around other deaf people instead I choose to live primarily in the hearing world. It is not that I don’t accept my deafness (it is impossible to not do that) but more of how my deafness doesn’t control my life." 2) How long have you been deaf? What caused the condition to start? How did you react and deal with the period when your hearing was slipping away? My hearing slipped gradually away between the time I was about twenty until I lost it all at the age of forty-two. At first it was only in one ear and I managed to easily cope. It bothered my roommate in college more than me. You see, I worked my way through college in a dormitory cafeteria. One year I ran the breakfast meal and had to get up every morning around 4:30am. When I ended up on my right side during that magical hour I never heard the alarm going off. My roommate had to jump down off the top bunk and shake me to wake up. When I started losing my hearing in my good ear things started changing rather dramatically. I wore varying strengths of hearing aids for about fifteen years until they were no longer effective. During the last year I would wake up every morning and put in my hearing aid to see if I could hear that day or not. It was a guessing game. That was the most stressful part of my life. It was almost a relief to finally lose that last shred of hearing." 3) How has the loss of hearing effected your retirement in terms of relationships and friendships, your marriage, what you choose to do to stay active and involved, like being involved with the soup kitchen? "My retirement years came more than twenty years after complete deafness so not a lot changed. But, like most I suppose, when I retired I went from being constantly around dozens of people everyday to primarily just my wife and I. That is a shock for many of us but it was a double whammy for me. Casual friendships are simply not easy, I might even say nearly impossible, for a deaf person in the hearing world. Chit chat is a normal part of most people’s lives and it is usually the beginning stages of friendship. Without it making friends is hard work for both me and my potential future friend. I’m not saying they don’t happen but they are rather rare. So, when I am asked what do I miss the most about not being able to hear I surprise many by saying I miss chit-chat. When I proposed to my wife more than twenty five years ago I told her I would very likely be deaf in the not too distant future and would understand if she refused my proposal. Instead she simply said “well then we better get started learning sign language”. I broke down in tears with her response and we did indeed get started learning signing soon after we were married. As far as [my volunteer work at] the soup kitchen goes I kind of fell into that in various degrees. At first it was doing the dishes and then that progressed over the years to doing all the meal preparations a couple of days a week. The friendships with the staff there was an ongoing process. Most there, both volunteers and customers, know I am deaf and over the years we have broken the communications barrier with hand written notes, gestures and whatever it takes. That in deaf circles is know as “Total Communications”;using whatever is best for a given situation. There is one friend who comes often for lunch who knows some sign language. We always have a little chat; that means a lot to me and I think to him also." "When I spend the days here at the homestead I rarely think about my deafness. My wife and I fairly effortlessly communicate with each other. We even have arguing down pat in sign language. Since I have managed to maintain a pretty good speaking voice (but don’t ask me to sing) I talk and she signs so most of the burden is on her. It is funny in that regard, when we do go to functions and such with other deaf people I have to tell my wife what they are signing as she doesn’t see signing often and she has to sign for me to them as I don’t physically sign much myself. But, whenever I go out into the “world” I am constantly made aware that I can’t hear. That gets tiring but it is just something I just deal with. I always carry a small pad of paper and a pencil wherever I go but you would be surprised at the number of people who refuse to use them! They simply can’t understand that I can’t hear them since I still speak fairly clearly. I have become pretty good at anticipating questions people will ask in different situations. So, even though I am not a particularly good lip reader I can usually figure out what they say and respond correctly. Usually but not by any means always. 5) Normal parts of American society, like ordering at a drive-through, seeing a movie or performance, watching TV…what adjustments must you make? I am a techie so I have all kinds of tools around to help me cope but drive-throughs have long been a thing of the past for me. There are a few movie theaters in major cities that have a captioning system but I have never tried them. I just wait for it to come out in DVD. The movie “Lincoln” is one I am anxiously waiting for now. Closed captioned TV has been around for about twenty years now and is available on all new TVs so I have full access to most programs now. It took the Americans With Disabilities Act signed in 1990 to make captioning mandatory. The quality of captions varies somewhat depending on whether the show hires “on the cheap” and therefore produces poor captions. I wake up to light now instead of sound. A light flashes over the bed at the given hour. I have flashers in the shop and barn to let me know if I have left something on before I lock up for the day. Of course texting has brought me the capability of now communicating away from home. There are tools out there for most any situation." 6) What words of encouragement or reality-checks would you offer to someone who is in the same situation as you, or dealing with some other limitation? Are there both specific and general thoughts you can share? "When I went deaf I initially thought it was the end of the world for me. My ear doctors basically told me to go away as they couldn’t help me any longer. It took quite a bit of searching to find organizations to help me cope. One of the first was ALDA (Association of Late Deafened Adults). This group showed me that I was not alone in the world. They showed me that there is indeed life after deafness. Although I don’t have much contact with them anymore they were a life saver when I needed them. In some ways most handicaps are the same. They put obstacles in our path to normal living. The main thing I would say about this is that life goes on after the handicap. Even Helen Keller who was both deaf and blind went on to a very satisfying life. I can’t imagine being both blind and deaf! Don’t think it is the end of the world if tragedy strikes you in this regard. The Lord gives us the strength to cope. In some ways I think my life is even fuller now than it would have been if I had not gone deaf so many years ago. If nothing else it gave me a good dose of humility. (ha)"
7) What haven’t I asked that is important to you to talk about? "Being that your blog is primarily about seniors and retirement the one thing that still needs mentioning is the number of seniors who lose their hearing and do nothing about it. That is truly tragic when there are so many aids available. Let me give you some statistics about that. About 20% (one in five) people who are deaf were born deaf. They are known as pre-lingually deaf. 80% were like me and went deaf later in life. About 60% of that 80% went deaf after the age of sixty. In other words the largest group of deaf are senior citizens. Unfortunately the majority of this senior group won’t seek help. They for the most part simply slip into the background of life. 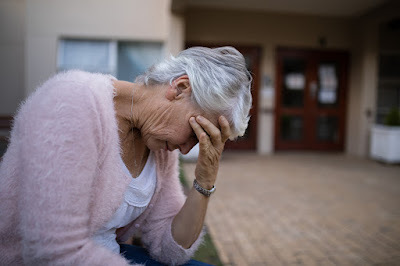 If I were to give any advice to family of these seniors it would be to get the person with hearing loss help even if they insist they don’t want it. Get them a captioned telephone, Teach them how to turn on the captions on their TVs. Get them to an audiologist to see if hearing aids are possible. Get a book and teach them some signs. Don’t let them simply go off on their own. When you have family or other group gatherings make sure that notepads are strewn around the area and encourage everyone to use them to “talk” with the hearing challenged person. When the group is having a discussion assign someone to write notes about what is being said. Keep the person involved. Just don’t let the person drop out of everyday life! That is a tragic way to end their years and totally unnecessary." This post is longer than normal, but his thoughts are too important for me to edit them to make them shorter. His feedback is about deafness but applies to anything that holds us back or keeps us from trying something. As he notes, we all have some form of handicap to deal with but life goes on. My deep appreciation to RJ for the time he took to answer my questions. My deep admiration for his forthright approach to living a satisfying retirement no matter what life throws at him. The important subject of preparing yourself or your partner to handle the household's financial responsibilities is a subject worth revisiting. In the last few years of his life my Dad turned over the management of his financial affairs. I also took care of his taxes and interactions with various investment companies. I found that he had renewed magazine subscriptions years into the future. Most companies have figured out if they send a request for a renewal that looks like a bill, even 8-12 months in advance, folks like my dad will pay them. Reader's Digest and Fortune magazine were among the worst. They had him on the hook for three years. after his death. My father-in-law, in the last few years of his life, became hooked on overseas lotteries. At one point we found he had spent thousands of dollars on Australian and Irish lottery tickets. Of course, the dreaded Publishers Clearing House mailings had him subscribing to things as inappropriate as baby and parenting magazines, under the belief that subscribing would increase his odds of winning. All of this reminded me that the subject of proper financial oversight is a need that never ends. When a spouse or partner dies the other person has it dumped in his or her lap. When both parents are gone the children have estate and tax issues to handle. Of course, there are people and organizations who will handle all the details for you. But, that comes with certain risks and costs at a time when someone is quite vulnerable to being taken advantage of. Is your relationship one-sided? Don't get defensive, most are. I don't mean that one of you is always taking and the other always giving. I mean in a way that proves how much you love the other person. You prepare him or her for handling a crucial part of modern life if you are unable to do so: the couple's finances. It is common in a marriage or a serious relationship between two people that one of them handles all, or certainly a significant part of the financial side of things. 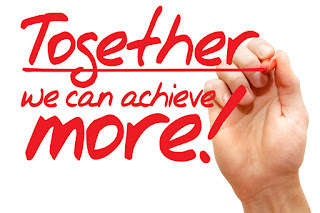 Bill paying, taking care of tax returns, handling interactions with investment people, and managing bank accounts are the primary responsibility of one partner. Usually, there is agreement that one person is better suited to handle those duties. He or she probably enjoys it and has developed a system to ensure that what needs to be done is taken care of. If a health problem or an untimely death leaves the survivor suddenly facing a desperate form of on-the-job-training there is the potential of a financial crisis. Of course, another option is to find a relative, outside person or business to take over this role. This can be quite expensive. Even worse, the person overseeing the matter may be untrained or even unscrupulous. Very quickly a lifetime of careful planning and investments can disappear. It is much better for the "financial person" in the relationship to teach the "non-financial person" what must be done before disaster strikes. Taking the time to prepare another is an act of love. Frankly, I believe it is also an obligation, a part of what must be done in a committed relationship. What are the basics that both partners must know? Here is a list from my own experience. As the financial person in our marriage I am committed to be sure Betty knows enough to avoid any financial pitfalls while she is looking at all her options if I am unable to be there. Where do we have accounts? How does she get up-to-date statements? Where is the safety deposit box key? What are the PIN codes for the various ATM cards? Are there minimum deposit levels to maintain to avoid fees? What cards to we have? What are their limits and when are payments due? Where does she go on-line to check charges? What should she do if she sees a fraudulent charge? Where are card numbers stored in case a card is lost or stolen? How to see which checks and payments have cleared. Car and home owners policies? Who is the agent? Health Insurance information and policies, customer service numbers, limitations or restrictions, keeping premiums current? How to get cash from investments transfered to other accounts to pay bills and provide living expenses. This is an area where I do advise her to have a professional handle the state and federal returns. I enjoy doing them (odd, I know) and can make Turbo Tax do what I want. But, there is no reason she needs to be able to take over this area. Even so, there are things that should be understood: a basic handle on what expenses are deductible, what paperwork to maintain for the tax preparer, and the deadlines for things like quarterly taxes and returns. This is our list of things we both feel each of us should understand if the need arises. I'd be interested in two things: have you done something like this for your spouse or the person who may have to take over? And, what have I overlooked? Since I still have most of my faculties there is time for me to take care of anything I may have missed. Jim M. woke up to another day, destined to be just like the day before, and the day before that. He had argued with his wife all those months ago that taking early retirement would be a mistake. He loved his job, he enjoyed the camaraderie of the fellows he had worked alongside for almost twenty years. The 2 hour commute didn't bother him; it was his time to listen to audio books and think. The predictability of his schedule appealed to him. Besides, all that seemed to be waiting for him at home were problems and tension. He was a bundle of nerves as he thought about the day ahead. Julie C. woke up to another day, destined to be just like the day before, and the day before that. She had agreed with her husband all those months ago that her taking early retirement would be the best thing that ever happened to them. Even though she was good at her job she had dreaded the 2 hour commute, the mind-numbing boredom of endless meetings, and the harassment she endured as one of only two female engineers. Besides, what was waiting for her at home was freedom and time to spend with her husband, her hobbies, and walking her dog. She was smiling as she thought about the day ahead. Two people, two similar scenarios, but two very different reactions. What was the difference between Jim and Julie's experiences? Why was Jim convinced he had made a big mistake in retiring, while Julie faced each morning with a smile? Jim sees retirement as an end, Julie as a beginning. To Jim, his work was his identity. He enjoyed what he did and who he did it with. In his mind, there was too much of himself left behind when he retired. For Julie, work was something she was good at, but it didn't define her. Her mindset was she worked to live, not simply lived to be able to work. An unpleasant environment certainly made her decision easier. Jim has serious problems in his primary relationship, Julie apparently does not. Jim's retirement journey began with arguments over his decision. You sense that Jim's wife wanted him to stop working yet she hadn't secured his approval or acceptance. Julie's choice was met with encouragement. Jim saw only problems at home after he stopped working, Julie saw the extra time with her husband as a positive. Jim has no particular passion or hobby to look forward to, Julie has interests that she can now spend time satisfying and the love of a pet. One of the most important factors in having a satisfying retirement experience is retiring to something: a desire to travel, going back to school, fully engaged in a hobby, starting a business - the list is as varied as humans. With nothing to productively fill one's day, the hours plod along, time becomes an enemy. Life at work takes on a golden glow, one strengthened by powerful memories that pale against a day with no structure or purpose. The other reaction doesn't discount all the positives that likely happened over a long career, but is looking at developing another part of one's personality, exploring talents and skills that were hidden while employed. Jim and Julie are fictional, but the description of their reaction to retirement is not, and of course, the sexes of each could easily be reversed. Each of us have, or will, face life after work. How you respond to the three situations listed above will help determine whether this new stage of your life is a burden or a joy. This is a bit of an experiment. It will be a fun, engaging experience, or a total bust. I am turning the success of today's post over to you. I am asking you to describe a perfect retirement day. What would have to happen (or not happen) for you to declare it a "perfect" retirement day? Would you be with friends or family or alone? Would it be in the woods, by the ocean, or hiking a mountain range? Would it be sunny and warm or snowy and cold? Would you never leave your home all day or be gone from sunup to sundown? Would you read, watch movies, listen to music? Would you meditate? Would you go to the animal shelter and pick out a new dog or cat? Would you catch up on long-delayed shopping for things you want to add to your home to make it your personal retreat? There are as many answers as there are people. That's why this could be a real learning, sharing experience for us. 1) Time with family. A meal together, watching a movie or playing games, conversation about this and that. 2) Reading one of the books I always have in a stack nearby. 3) Responding to a flood of comments on a blog post that I wasn't sure would generate much interest, let alone feedback. 4) Replacing a few parts in a 70 year old vintage radio I am restoring. 5) Taking at least one nap. 6) Taking our dog to a park to watch her frolic and hunt for lizards (her favorite thing in the whole world). Having a picnic lunch. Bike riding. 7) Having a glass of wine at 4pm while sitting on the back porch, listening to the water fountain, and having no real thoughts. 8) listening to music - a mix of favorites and something new. 9) Making a stranger smile. 10) Firming up plans for a 3 week trip to the beach. OK, now your turn. Tell us what your perfect retirement day would be. Keep your answer as short or long and detailed as you want. Give us a glimpse of your idea of perfection. Is This Missing From Your Retirement? You might be thinking. "nothing is missing. What are you talking about?" The short answer is a hobby or something that engages you. Then, you might respond, "Why do I need a hobby at all? My life already full and getting busier. Who has time to take on a new commitment?" I'm suggesting the answer is, you, if you haven't thought seriously about finding one. What exactly is a hobby? According to the dictionary it is an activity or interest pursued for pleasure or relaxation. Two words in the definition give you a clue to its importance: pleasure or relaxation. 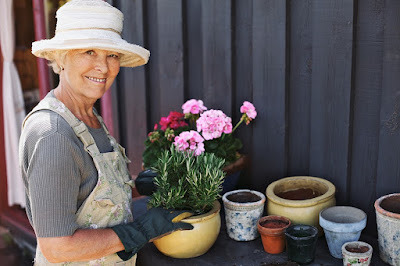 Often I have discussed the common misconception that a retired person has nothing but free time, few obligations, and even fewer responsibilities. If you have been among the non-working for more than a short while, you know none of that is true. A satisfying retirement can be just as hectic as your working days. So, the need for something that allows you to take a break from the routine is every bit as important. Hobbies are as varied as the people who pursue them. My father-in-law collected swizzle sticks and matchbooks. I started stamp collecting as a pre-teen and eventually moved into ham radio. Now, I am refinishing and restoring vintage tube radios from the 1940s. Others choose woodworking, quilting, playing an instrument, gardening, mountain biking, golf, sky diving, fishing.....the list is endless. But, what makes a fulfilling hobby? Some pick a hobby that is "practical," others do something just for the fun of it. 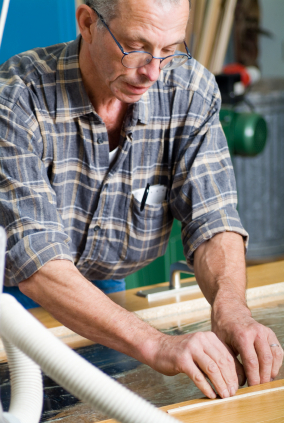 A practical hobby would be sewing, woodworking or vegetable gardening. While it provides the pleasure or relaxation you need, it also produces something that can be used, sold, or enjoyed later. Just for the fun of it is pretty self-explanatory. Mountain biking, ballroom dancing, or most forms of collecting are taken up because the activity is enjoyed. Generally there isn't a practical use for whatever is done. Importantly, both categories have equal value. A hobby satisfies a need you have. Whether it is practical or just a lot of fun doesn't matter in the least. 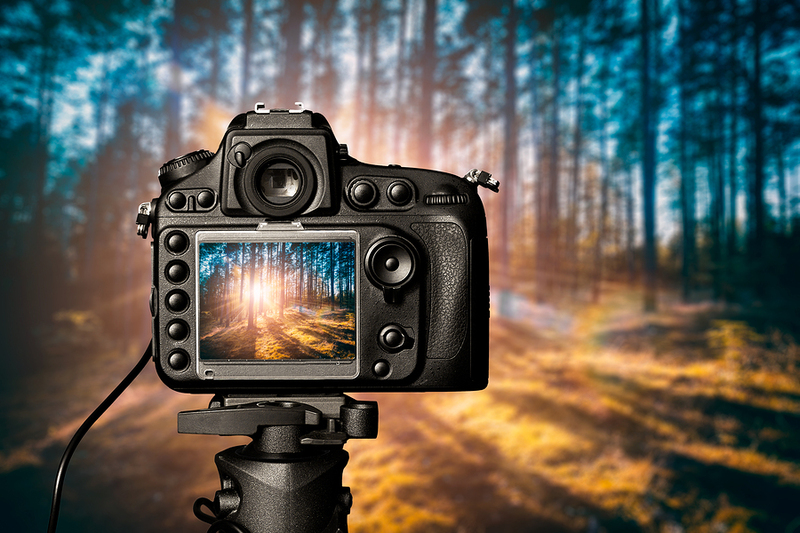 A good hobby is one that often uses skills or talents that weren't fully utilized during your working career. If you spent a lot of time in front of a computer, a satisfying hobby might involve something more physical, or with different skill sets. If you wrote technical reports all day, turning out a good mystery novel might be just the ticket. On the other hand, if your day used to be filled with some form of manual work, a hobby that uses more brain than brawn could be best for you. A new diversion can boost your creativity. The energizing aspect of a good leisure activity can prompt you to tackle something new. You learn new ways to solve problems. You face new challenges that must be dealt with differently than during other times of your life. In most hobbies there are opportunities to meet new people who have the same interest as you. 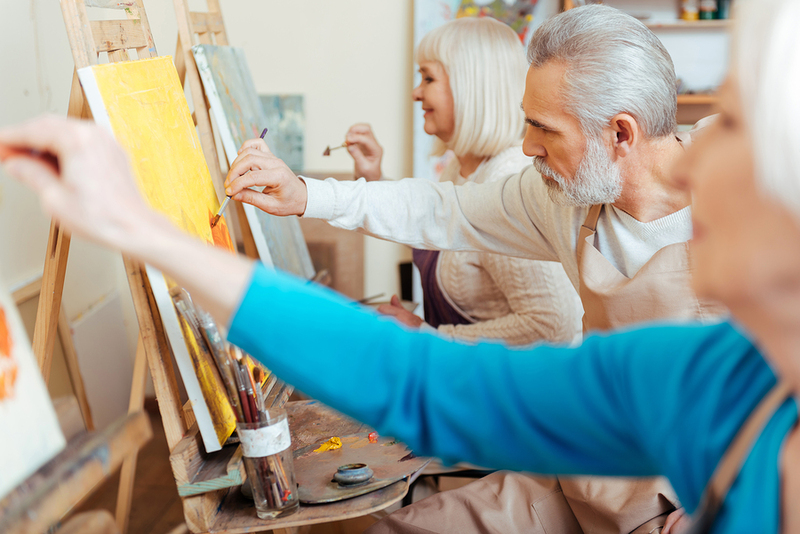 Everything from formal clubs to informal gatherings over coffee are part of many hobby activities. 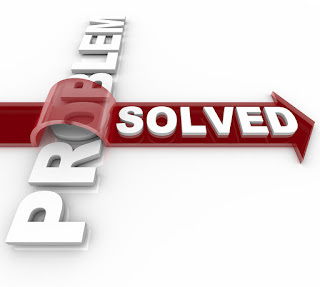 Problem-solving and question-asking through e-mail or telephone exchanges introduces you to someone you may never have met any other way. Most hobbies require a serious dose of "me-time." You are intently focused on the activity or process. You shut out distractions or the needs of others for just awhile. You feed only yourself. Particularly if you are involved with other people most of the time, this solitary experience can be very pleasurable. Showing the versatility of hobbies, the exact opposite situation may also occur. You may spend time with a spouse, child, or significant other in a way that is totally different from normal interactions. If you are both hiking a mountain pass, the experience will trigger reactions and conversations very different from those involving who takes out the trash or what's for dinner. The chance to learn more about each other can make a shared hobby a real kick. Finding a hobby that really fits your needs takes experimentation. Unless you are lucky, you might have to try out several until something clicks. You might change hobbies over time as your needs and interests evolve, and that's OK, too. My only advice: keep searching. I went for almost 8 years without anything that would qualify as a legitimate hobby. As soon as I found what I was searching for I knew it. What about you? Do you have something that brings you pleasure or relaxation? Have you found something that really brightens your free time? Or, are you still searching? I'm interested in learning about your hobby or your hunt for one. Please share your experiences with us. "I Want To Retire Some Day. How Should I Prepare?" If you are reading this blog, I assume you have some interest in retirement. Maybe not tomorrow, or even next year. Maybe it is a savings and money issue. Maybe you enjoy your job and the stimulation it gives you. Maybe your responsibilities with your family must be front and center for now. Maybe retirement scares you a bit. That just makes you normal. But, eventually you want to retire and would like some suggestion on how to prepare for the day when you are ready. If you are already retired, I am asking a favor: read this post anyway, and then add you own hints and ideas as a comment. Your experiences qualify you to help those who have yet to make the move. What is your projected income from now until you retire. Obviously, this is a guess. Your job might disappear tomorrow. But, based on your past situation, you should be able to make an educated guess of what you expect to make from now until you do retire. What do you expect to receive from Social Security? Avoid the "it won't be there for me" panic attack. We don't know the future, but we know the present. 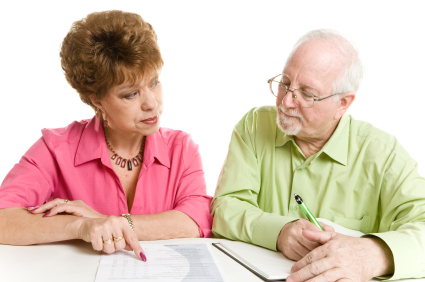 If Social Security undergoes revisions, then you will adjust your other projections. But, for now, use what is real today. You get a yearly report that tells you what you can expect based on your past earnings. Do you think you will have to take your payments as early as allowed, or will you be able to wait? There are logical reasons for both courses of action that are based on your status. Add that monthly amount to your projections. There are often slight upward adjustments to your monthly check, like 2018's 2% bump, but it isn't enough to change any of your planning. What is the current status of your retirement savings and investments? You can't predict what the market will do. You can project how much you plan on saving and investing in the years ahead. 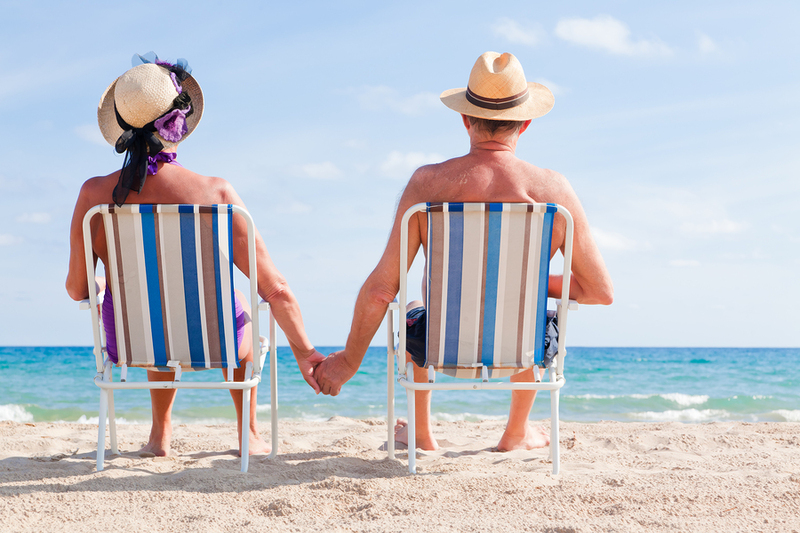 Using a conservative growth projection, what should you have when you are ready to retire? What do you need to have available when you retire? Here's a biggie: what about health care costs? None of us knows what the future holds in this area. Personally, the only thing I expect are prices for coverage, medicines, and services will go steadily up. Plan on at least a 10% increase every year until you are eligible for Medicare (or its successor). If you are lucky enough to have good coverage through your workplace, you are lucky. That removes a large worry from your plate, at least for now. Be aware, that even with Medicare after you turn 65, expect to spend at least $240,000 on medical expenses during the rest of your lifetime. OK, now with those figures available to you, can you live on that for 30 years? People in good health today who are in their 40s or 50's can expect to live into their late 80s or mid 90s. If you retire sometime around 65, you will have to take care of yourself for another 30 years. Can you? B) Make Your Lifestyle projections: Your financial situation will determine the overall structure of the life you will lead in retirement. Lifestyle issues will determine the quality: whether it is enjoyable and satisfying. Are you ready? Where will you live? Many folks want to escape weather they don't like and use retirement as the motivation to move somewhere more to their liking. Or, their family lives somewhere else in the country and moving closer would make them happier. Others like the roots they have established where they are, have family and friends nearby, and don't want to go anywhere. Moving to a retirement community on the other side of the country would never cross their mind. Do you envision yourself in an "active adult" community, an age-restricted setup, an urban or rural environment, or selling everything and becoming a nomad in an RV? What about the complications that arise when one or both spouses are with each other 24/7? Trust me, this is a a major adjustment for both partners. No matter how much Dr. Phil you have watched, how many books on relationship building you've checked out of the library, and how much you love your partner, being together all the time is tough without some planning. Do you have something besides work that you love to do? If work is your vocation and avocation what will you do when you don't have that anymore? Do you have any interests, passions, or hobbies you'd love to explore? It is best to figure that out before you walk in the door of your house, retired, with no idea what to do next. 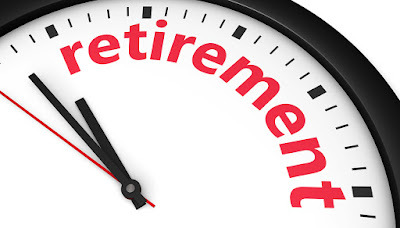 I've made the point many times in multiple posts that retirement is a huge adjustment for anyone. I don't care how well prepared you think you are, there are things you have not forseen that will happen. Such uncertainty shouldn't freeze you in place. Life is all about change. There is no way to cover all your bases ahead of time. So, what to do? Plan, plan, plan. Then plan some more. Consider everything you know and things you know you don't know. Then, when the time is right for you, just do it. You will learn to adjust. You will struggle, grow, panic, and thrive. That is life whether you are retired or not. My young family had just moved from Salt Lake City to Tucson. With two daughters under the age of 3, my wife and I were excited by our new adventure. We had grown up in the east and had no idea what living in a desert climate would be like. Though we enjoyed our stay in Utah, the thought of no more snow and cold winter days had too strong a pull. I had accepted a job with a start up radio research firm. They were in the market to buy radio stations across the country and assured me I was an important part of their plans. The future opened up before my eyes. Less than 8 months later, their plans and my life had crashed. The purchase of the radio stations had fallen through. The president of the research company had quit to start his own firm across town. With almost no staff, no marketing budget, and me woefully in over my head, the end result was predicable. I was fired, given a small settlement, and sent on my way. I can't describe the terror my wife and I felt. The job I left behind was already filled. There was no other company in town that was looking for what I had to offer. Four hungry mouths needed to be filled and I had no idea how that was going to happen. After a few weeks of panic and thinking through my options, it was clear the only logical decision was to start my own business. Had I built enough positive feelings with those I had interacted with over the previous five years? Could I develop a marketing strategy that could be put together on a shoestring budget and work? Frankly, there was no Plan B. This idea had to succeed. A scary 7 months later, things began to jell. One major client took a chance on me. His influence was enough to convince others to follow. Clients began to enjoy better ratings, bringing more business to my door. Two major group broadcasters each signed contracts. Eventually, what begin out of desperation on a kitchen table blossomed into a successful 20 year business. Sometimes what happens in life is a case of "right place, right time." Other times we make our own future through an idea, maybe a dash of luck, and an extra helping of perseverance. Prayer plays an important part for many. I am quite interested in your story of being faced with a failure or life-altering problem, and how you turned things around. It may be a story of job loss, like mine. Or, you had to turn things around after a divorce or death of a spouse. It could be a problem with an adult child that needed a special combination of effort and luck. Maybe it was finding your life severely limited by a health issue you hadn't expected and couldn't "fix." There is tremendous restorative power in sharing experiences. We learn we are not alone. We find we have more strength than we believed. We may be inspired by how someone else approached a problem that bothers us. We may find a new direction to follow. I ask that you add to our discussion and help all of us learn from your problems and your strengths. Borrowing rather shamelessly from the Bible, here are 10 "commandments" that will help you increase the odds that your retirement is a satisfying one. Unlike the Bible's version, none of these are necessary to keep you on God's good side, or keep you from breaking a law or two. But, at least in my view, they should form the foundation of your future. Spend More than you make. There may be times in your life when this was necessary. Few of us can buy a house or car without taking on debt and a total obligation well in excess of our cash flow. College education for the kids, major medical bills...life happens. Having the ability to borrow money and temporarily go into debt is OK. What can quickly ruin your retirement, however, is spending on wants and desires in excess of what your income is. The basic rules of finance don't get suspended once you cash your last paycheck. Funding your retirement with credit cards, home equity loans, or other options that put you in a perpetual hole will only get deeper. Ignore the need for a budget. Closely related to the point above, I don't know how you can make it if you haven't kept and maintained a budget for years in advance of retirement. That need continues. In fact, when regular paychecks stop, tighter control over your income and expenses is even more vital. The old rule of thumb is you should plan on spending roughly 80% of what you spent before retirement. I suggest that "rule" no longer applies. You should develop a budget based on your resources and what you think you will spend. If those two numbers work for you, then the percentage is not terribly important. But, you must maintain a budget. Become bored and restless. Too many retired folks go back to work because they don't know what to do with all the free time. Others spend their days in an arm chair, watching TV or flipping through magazines. Still others play two rounds of golf a day, not because they love it that much, but because it fills the time. This should not happen. Time is a priceless resource. Control over how you spend it is one of the biggest pluses of retirement. Find your passion. Find something to do that jump-starts you out of bed each morning. All too soon, you will wish you didn't squander something that can't be bought, can't be stored, and can't be replaced. Treat a spouse or partner poorly. The entire dynamics of a relationship changes when one partner retires. To assume the person who just stopped working gets a free pass and can contribute nothing to the smooth operation of the household is not going to work. All that extra time together can be the greatest period of your relationship, or can contribute to the rapidly rising divorce rate among older Boomers. Work hard on your budget and finances...work even harder on strengthening your primary relationships. Move right after retirement. The stress of retiring is substantial. Suddenly what your life looked like changes. Much of what gave you purpose and meaning is over. That is not the time to tear out the roots of your home life. Regardless of how much you want to move away from the rain or snow or desert, no matter how much you want to live near your grandkids....do not make that decision for at least a year. After the upheaval of not working settles down, then you are able to rationally look at what you'd be giving up and what you'd gain by moving. Ignore your health. I don't need to belabor this point. If you don't feel well, if you don't take care of yourself, and if you don't follow common sense steps to maintain your health, your retirement will not be all you want it to be. 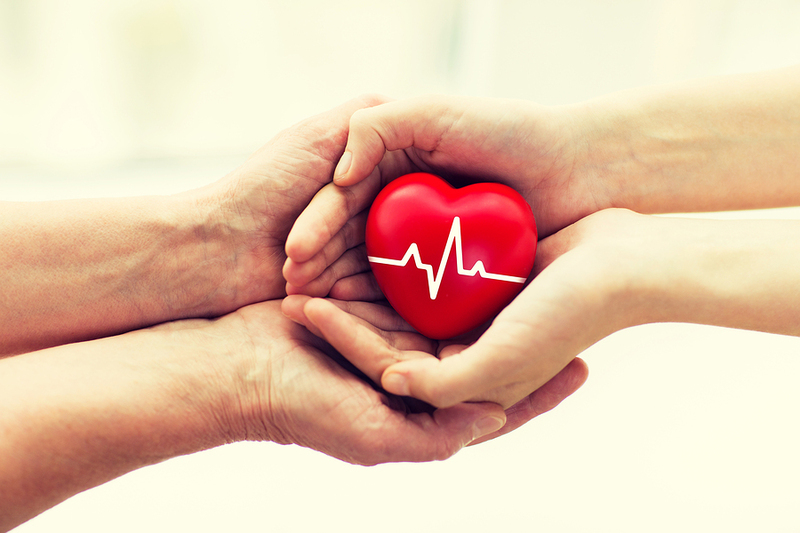 If you already have health issues don't stop fighting for the life you want. You have a mind and you have creativity. You are alive and you are a unique being who have things to contribute and people to love. Become a curmudgeon. The stereotypical grumpy old man (or woman) isn't a requirement of aging. Don't become so set in your ways that you reject everything new as flawed and no match to "the good old days." No one likes to be with a grouch. 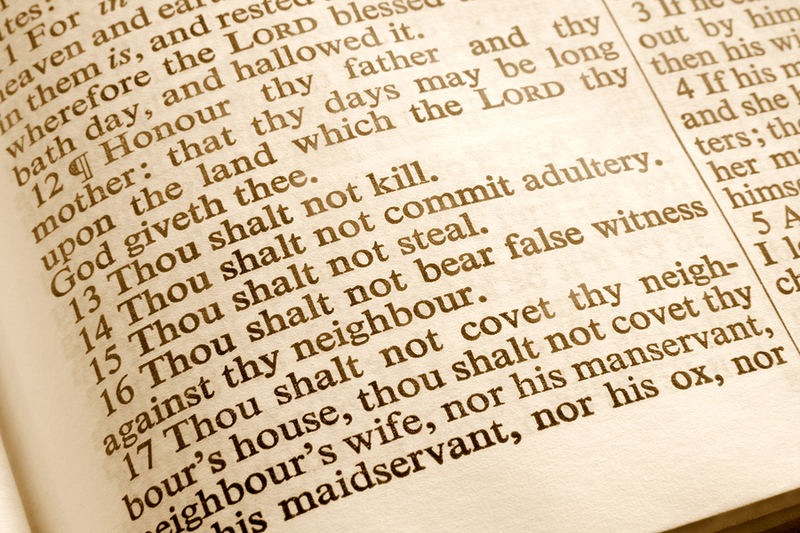 Unlike the tablets Moses gave us, these ten commandments aren't written in stone. What have I missed that should be the 11th or 12th commandment? What in your view is the most important one on my list? Or, do you believe that retirement is the time of life when the whole concept of a "commandment" is not appropriate? You spent your working days taking orders from others. Now, it is time to go with the flow and live for today. Maybe it is because Christmas with its serious doses of family love and good cheer is still fresh in my mind. Maybe because it is I am so tired of reading and hearing about all the division, hate, partisanship, and violence that we accept as part of daily life. Maybe it is a dawning revelation that, as a group, retirees, could be a powerful force for so much good and change in our fractured world. Whatever the genesis, I wanted to step off the normal topic list of this blog just for today to try to make a point and stimulate a meaningful discussion. Those of us on the other side of the working world divide are well aware of the need for prudent financial planning and control. 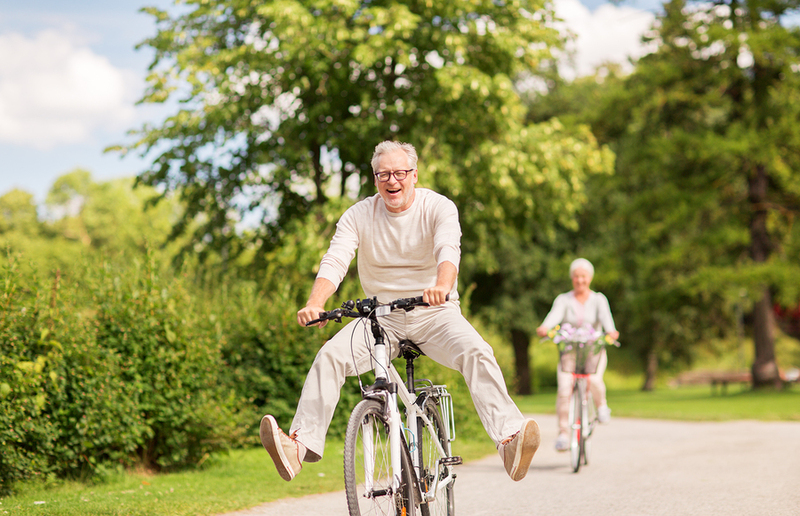 All of us are quite aware that our health, or lack thereof, will play a large part in how satisfying our retirement will be. Those in any type of serious relationship understand that love between two people is the foundation of everything. That includes single folks: relatives, friends, even caring neighbors can fill that role. Bottom line: we are not built to be alone all the time. I am a Christian. That said, there has been a lot done in the name of my religion that disturbs me, causes me to wonder if some people who wear the same label have actually read the Bible. The acceptance of the central message of my belief is not that hard to understand, but difficult to live day after day. I will assume that some of those who follow a different faith, be it Jewish, Islam, Buddhism, Hinduism, whatever, have some of the same feelings: that the core of their belief system has been hijacked, politicized, or in some way perverted from how it began. I guess an atheist would also struggle with core beliefs and how the world is functioning, even without belief in a god. This is not a post about religion, or its power to do good and evil. But, I had to set the stage for what my main point is: the time of life we are so privileged to enjoy should come with a moral or ethical obligation to make the lives of those not so lucky just a little bit better. There is nothing in there about vacations, re-doing the bathroom, buying a new car, or even refreshing my wardrobe for spring. Nothing. They don't make the list. Yet, I live as if they were actually somewhere in the top 10. I am asking you to consider a simple question: as a retiree should we have an outsized sense of responsibility for engaging in the world's problems? Should we be using our gifts of time and freedom to do more than just make our own lives satisfying? Is retirement a time when our humanity can really exert itself? Is it the phase of life to get back to work - living like our bounty is meant to be shared to ease another's burdens? Honesty alert: My answer is yes, but I am not putting that into practice. Shouldn't part of my retirement be a more active living of my faith? I apologize if you came to Satisfying Retirement for the first time today, and wonder whether you have been taken to the wrong site. NO, you are where you want to be. 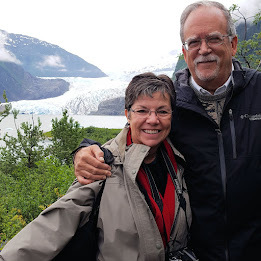 The next post will be about one of the subjects that form the basis of a retirement blog: relationships, health, finances, whether to move, how to use your time, and so on. Every once in a while, though, I must address my inner demons and express a strong feeling. 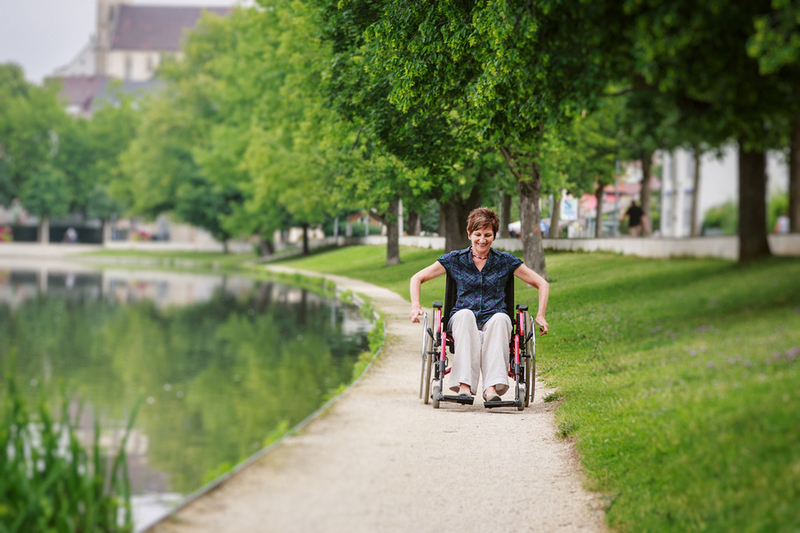 Do You Feel Invisible Because of a Disability? The lead sentence in the New York Times article caught my eye: "Nancy Root remembers when she vanished." Reporter Frank Bruni writes about the "disappearance" of an 82 year old woman who lives in a Phoenix suburb. Even though her mental and verbal skills are just fine, because she is confined to a wheelchair most of the time she has become "invisible" to many people. Getting someone to help her takes much longer than it did when she simply strolled into a store. When a clerk finally comes, offers of help are directed to the person pushing her wheelchair, not to Nancy. In doctors' offices, receptionists talk to whomever brought her to her appointment, often referring to Nancy in the third person, as if she isn't even there. The same invisibility happens at movie theaters, restaurants, and on airplanes. The reporter found a disturbing pattern: there is often an assumption that someone with a physical limitation is also mentally limited, too. There is a general belief that someone above a certain age does not deserve full attention. The story ends with the disturbing conclusion that Nancy is learning to make peace with such neglect. She has decided not to spend her time angry or bitter at this type of treatment. I must say that this story has opened my eyes to something that has probably been right in front of me. I just didn't see it. I don't think I treat someone in a wheel chair as detailed in the report. In fact, how I do respond may be just as bad. I may go overboard and be too deferential and treat him or her as if they are fragile or needing special help. The folks I know who have a wheelchair or use a cane expect the opposite. They want no special privileges or treatment. They don't want their physical limitations to affect how I interact with them. After all, we all have limits of some kind. 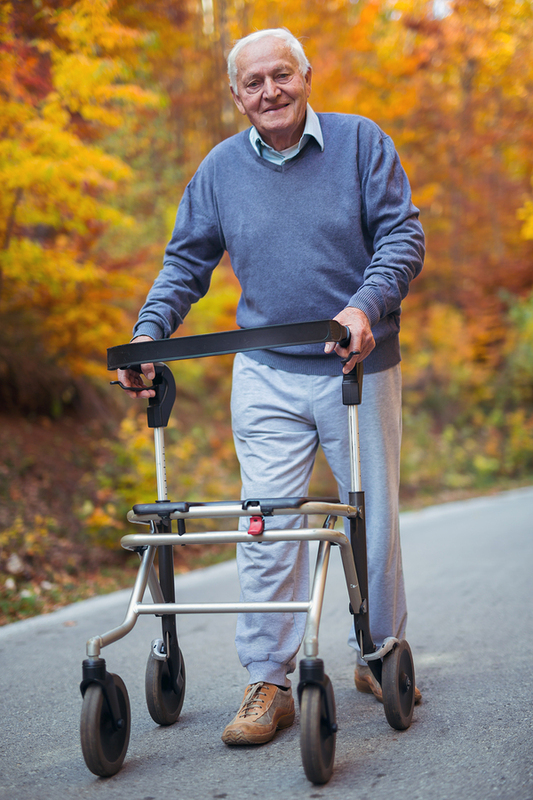 As our country ages, more of our peers will find themselves needing help getting around. Wheelchairs, electric scooters, canes, or walkers will become an even more common sight. That group of folks with "limitations" will likely include us. Do we want to be treated, or ignored, like Nancy is? Of course not. Here's my question for you: because of any physical limitations that require assistance do you ever feel invisible? Do you find yourself marginalized because you are a certain age? Do sales clerks wait on you last? Do waiters talk with a younger companion instead of you? Or, have you found this isn't the case? You are older than many people in a store or supermarket, movie theater or restaurant, but that has not affected how you are treated. Do you do or say anything differently to make sure you get the attention you deserve? The newspaper article quotes one of Nancy's friends, who is infirm and does feel discriminated against. She takes a more direct approach: she tells those people "to go to hell." Hopefully, we can find another way to interact. But, Mr. Bruni has shone a light on a subject that is an important one: are senior citizens, especially those who are limited in some way, invisible to others? Your experiences and reactions are welcomed.